I’m working on a particular piece of preparation : weight. Not especially my own, no, although it would help in said subject. 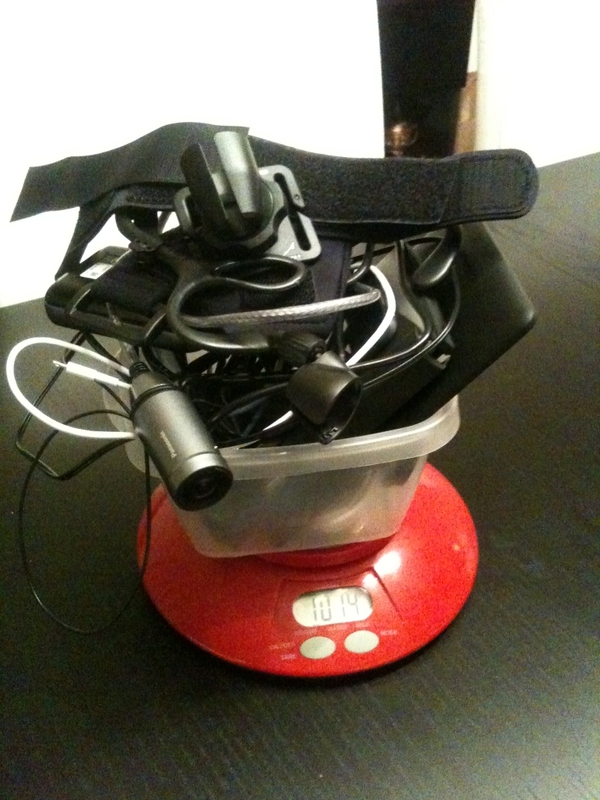 I’m weighing all of the stuff I’m planning to carrying around on the bike. When thinking about that point a month ago, my rule of thumb was that I shouldn’t be carrying around more than the weight of the bike, so about 15 kgs (or 33 lbs). That seemed to be already quite a lot. Then a couple days ago I started writing down the weight of the stuff I already had, and the stuff I’m planning to get. And figures started building up *very* quickly. Camping equipment, only the tent / sleeping bag / mattress was already closing in on 5 kgs. After putting all clothes on the scale it was showing 4,5 kgs. The bike equipment (cleaning, maintenance, spares…) I estimate at 3kgs. I was astonished to see that front & rear panniers, plus handlebar alone were about 5kgs. Food-wise I’m counting 2 liters and another kilo of snacks / canned food. All of the health equipment is a bit less than 2kgs. Finally all of the 13 maps and business cards is a bit more than half a kilo. I’ve searched around and found some amazing stuff like this guy : http://ultralightcycling.blogspot.fr/ who goes around all over the planet on a TOTAL, bike included, of 15kgs. Well that’s about it for now, I still have a long way to go to reduce it all another 3 or 4 kgs. A good rule of thumbs I’ve read is to use panniers to carry more than three times their own weight – in other words, panniers / containers should be less than a quarter of the total weight. So with a 15kgs objective, panniers should be around or less than 3,5kgs.